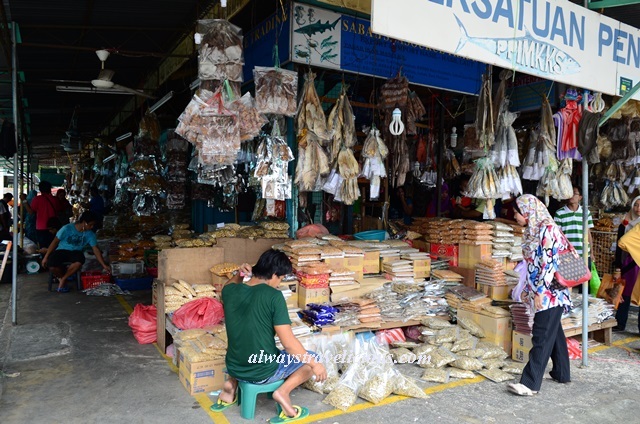 Filipino Market @ Kota Kinabalu, Malaysia - Always Travelicious ! 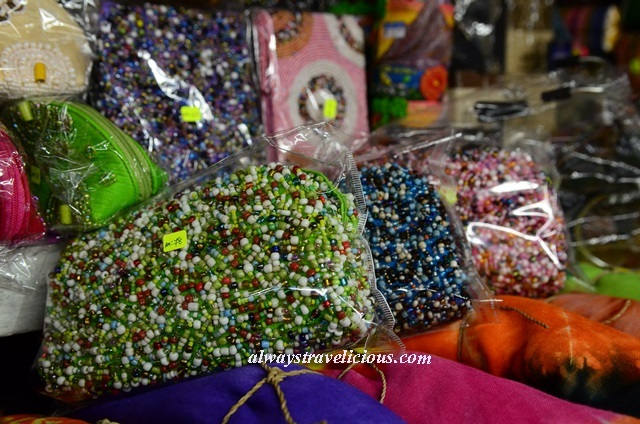 The Filipino Market @ Kota Kinabalu (aka Handicraft Market) would be THE place for souvenirs. 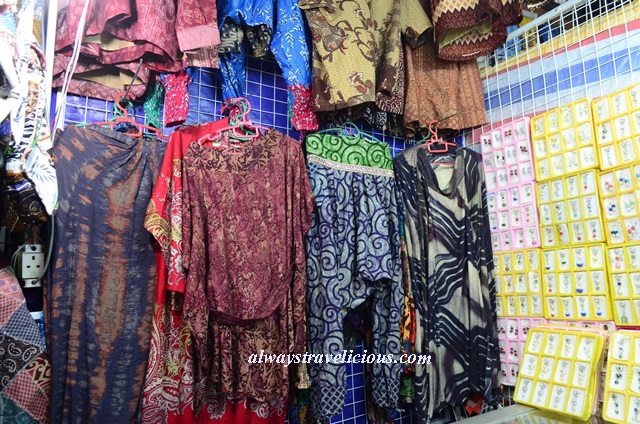 Hundreds of little stores occupy the market; it’s sort of like a treasure hunt where you have to navigate through the little walkways, avoiding bumping into people at the same time. I’ve visited the market twice, some seven years apart; each time a different appeal. 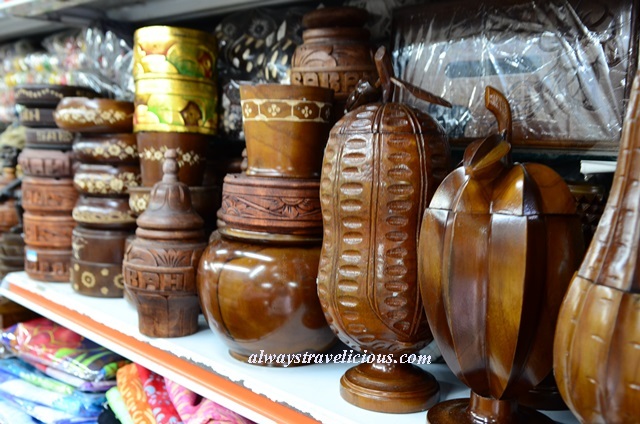 During my first visit, I still remember how fascinating the Filipino Market was. 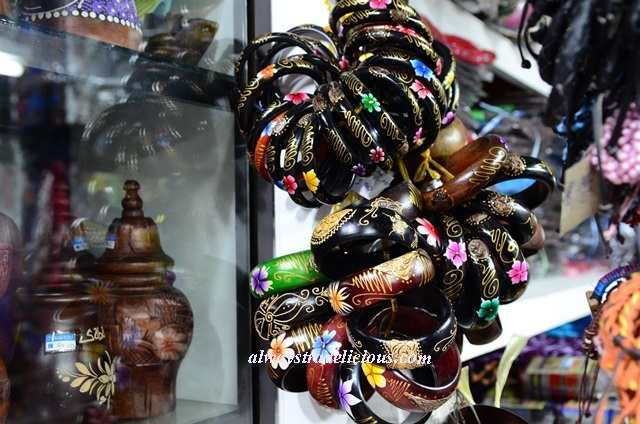 The colorful batiks, the leather bags, the rattan handbags (I still have one in my cupboard) ,the bracelets, the beads and the wooden handicrafts, I wanted to bring everything home with me. 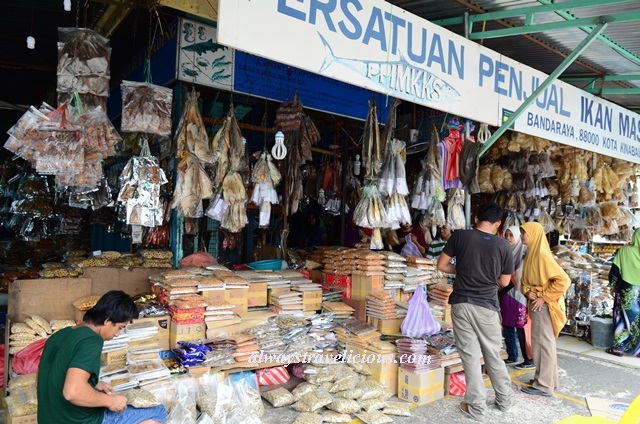 On a second visit recently, the market is still just as vibrant but I must say I was just a tad less excited than the first visit because perhaps I’ve traveled more by now and it has its similarities to markets in other beach towns I’ve visited in South East Asia. One thing that did catch my attention this was the pearls. I’ve never seen so much pearls in my life before. 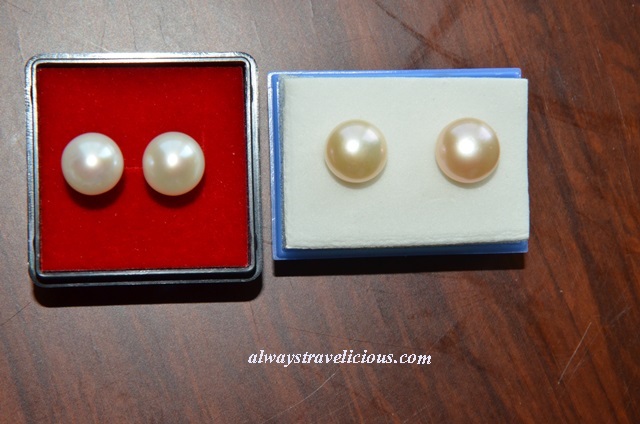 They come in all sorts of sizes, shapes and colors, usually indicated as fresh or sea water pearls. You can customize the pearls into anything – pendants, earrings, rings or necklaces. I was a bit skeptical about their authenticity. 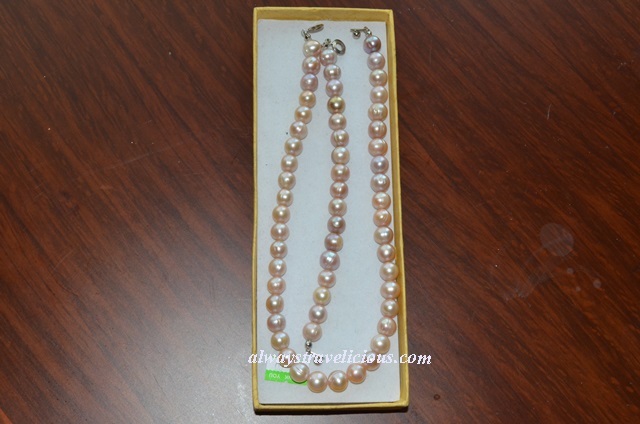 One way the seller will prove to you that the pearls are authentic is by using a pair of scissors to scrape the pearl; if the pearl is authentic, pearl powder will come off. Another seller tried burning his pearls with a lighter; the authentic ones don’t burn as they are fire resistant while the plastic ones will. I’m not a pearl expert, so I am just going to with something I’m comfortable buying – 2 pairs of ear rings, and a set of necklace + bracelet. 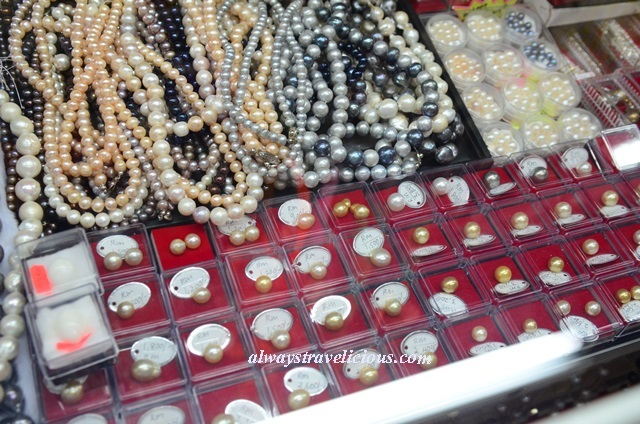 You’ll be surprised that expensive pearls are sold here too, in the range of thousands. The pearls in their own casing fall under that category. 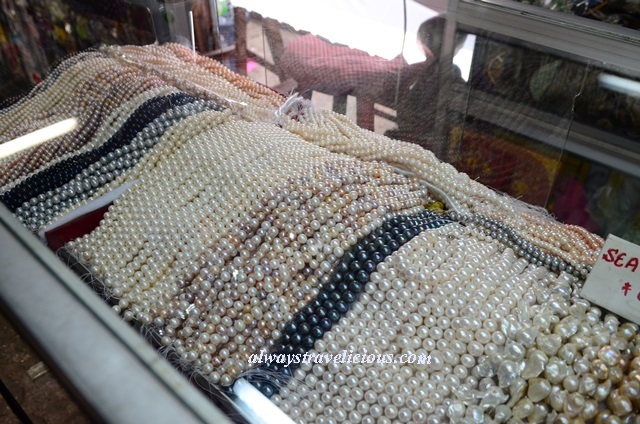 If you are a pearl expert, you might be able to pick out something from here. 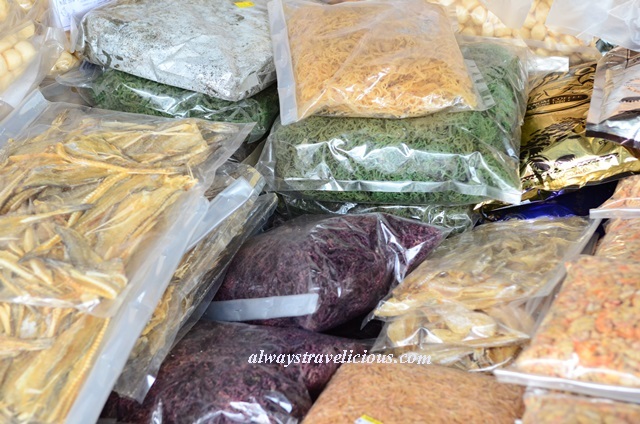 If you love to cook, while you are at the Filipino Market, do check out the smaller dry-goods market right next to it (Persatuan Penjual Ikan Masing). 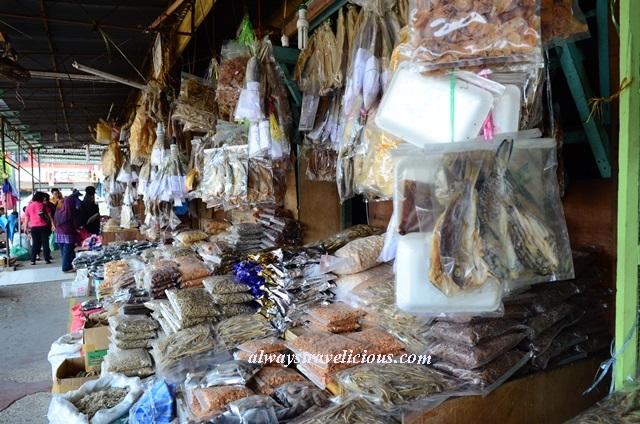 Salted fish, dried sea cucumber, dried squid, dried shrimps and dried seaweed are all up for sale there ! Address: Jalan Tun Fuad Stephen, Kota Kinabalu, Sabah, Malaysia. Me too ! 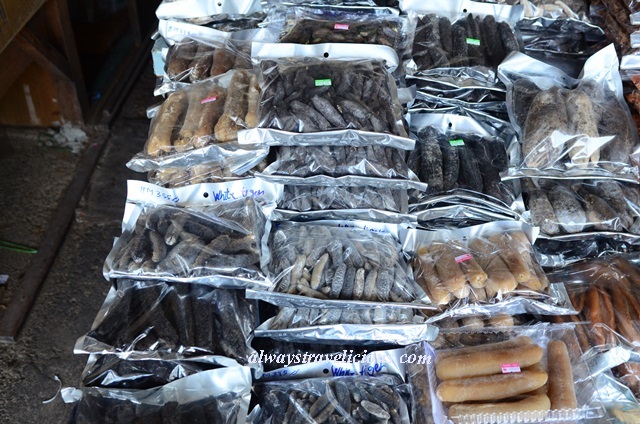 Very worth it to buy seafood in Sabah. 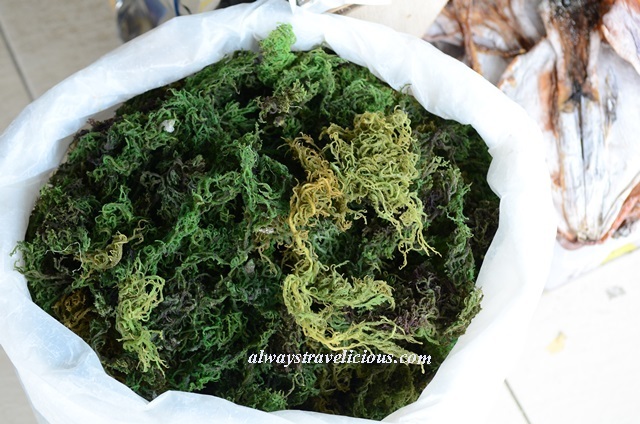 The frozen ones too – abalone, sever star grouper etc ! You are right, this is definitely the place to be for souvenirs! 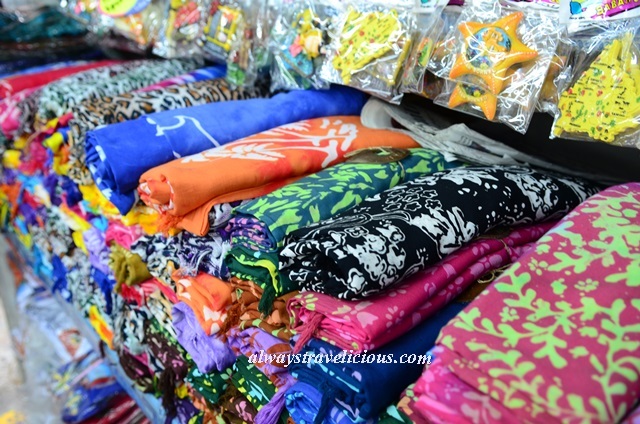 The Filipino market in Sabah is as colourful as the markets in the Philippines, although I would say, the ones in Manila are much brighter. Good post, KJ!